"What can I do with this!?" Ellen asked herself after she acquired all this barn wood. She had a vision of what she wanted but needed help making her dream a reality. That's when she came to us. 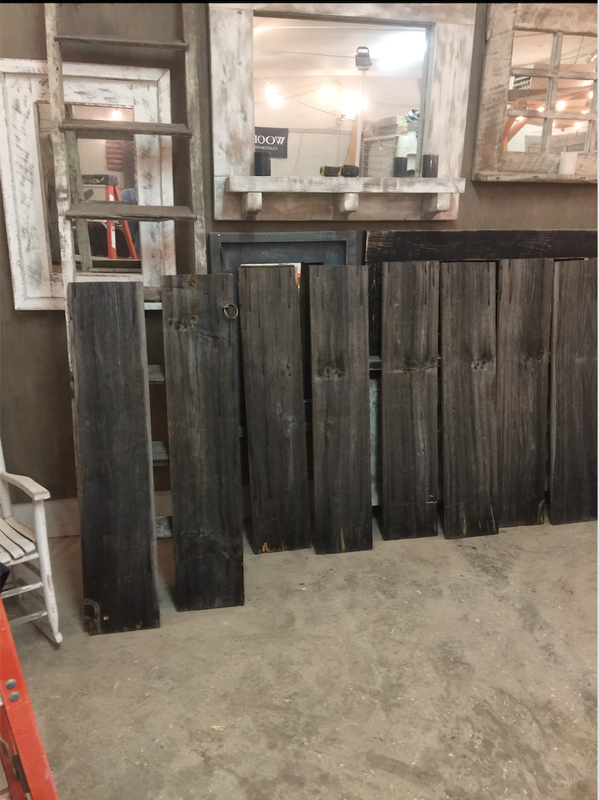 When Ellen approached us in December of 2016, we were so excited to have the opportunity to work with this beautiful reclaimed barn wood. Her uncle's barn was falling apart and when he finally decided to take it down, Ellen insisted he wait until she could check it out. She had always been a fan of reclaimed wood furniture and was excited about the opportunity to have something custom of her own. Through a couple messages back and forth and a meeting at one of our open houses, we came up with the perfect pieces for her home. Completed in about a month from demolition to design to the finished product, Ellen is now the proud owner of a custom coffee table and dining room table. Check out the before and after photos below. This was an amazing opportunity for us, as we had the ability to work hand in hand with Ellen to create the perfect pieces for her home.